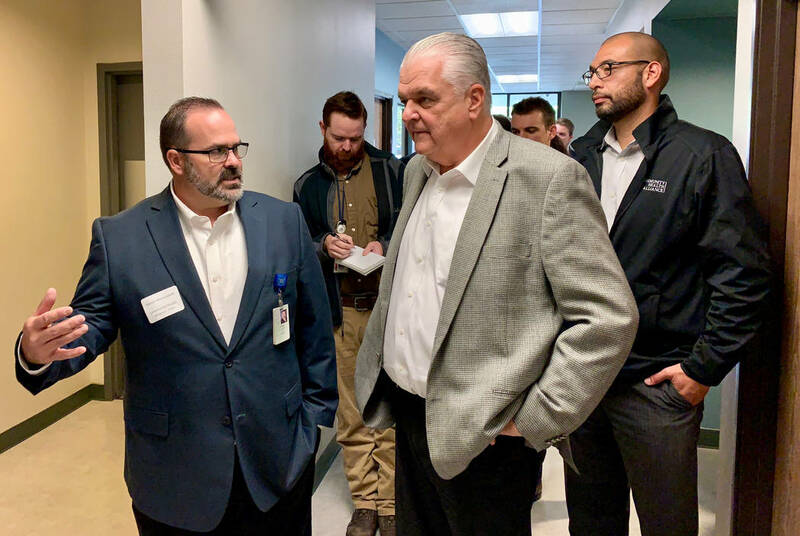 “Without a doubt, it’s one of our more pressing needs that we have in the state of Nevada,” Sisolak said after touring the Community Health Alliance and taking questions from health care providers and other stakeholders. Heather Ruth/Pahrump Valley Times Election Day is Nov. 6. Erik Verduzco/Las Vegas Review-Journal In response, the Laxalt campaign pointed to the candidate’s own health care plan. RENO — Democratic gubernatorial candidate Steve Sisolak toured a community health clinic in Reno on Monday to highlight the release of his proposals to improve the state’s worst-in-the-nation health care system. The candidate’s plan, available at http://stevesisolak.com/providing-affordable-high-quality-health-care-for-every-nevadan, would create a governor-appointed Patient Protection Commission that would bring together patients, doctors, health care providers and policymakers to find and recommend health care fixes. Sisolak’s commission would have 100 days to make legislative recommendations, focusing on reining in rising health care costs, improving access and harnessing innovation, such as expanding telemedicine programs. ■ Seek to extend protections of a 2017 state law regulating the cost of diabetes drugs to medications for cancer, heart disease and other ailments, and improve drug price transparency. ■ Expand children’s health insurance programs to cover what Sisolak said is the 7.6 percent of Nevada kids without benefits. ■ Improve health care access in the rural counties and turn around the state’s mental health services, which also rank last nationally. ■ Create a state drug purchasing coalition that could negotiate for lower drug prices. 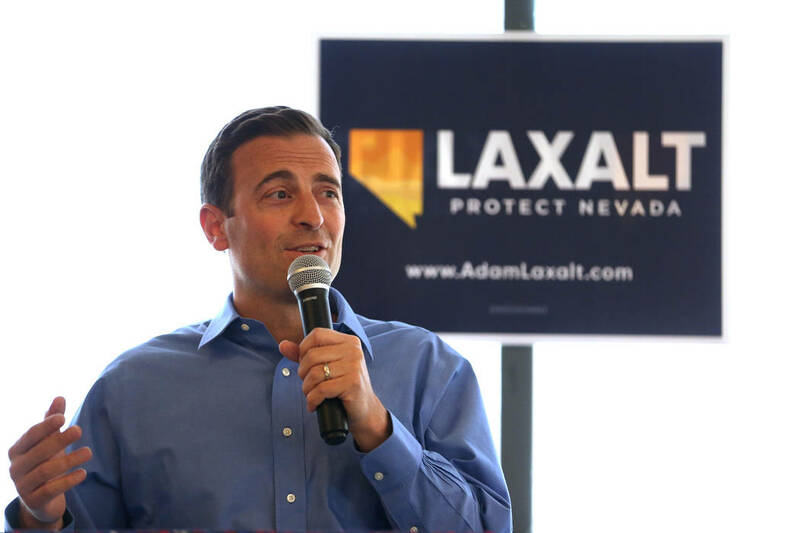 Contrasting his health care positions with those of his Republican opponent, Attorney General Adam Laxalt, Sisolak said he fully supports the Affordable Care Act and Gov. Brian Sandoval’s move to enact the ACA’s provision to expand Medicaid to cover lower-income residents. Laxalt, he said, opposes both. Sisolak also touted his experience with providing health care as a member of the University Medical Center’s board of trustees and said Laxalt has no similar experience. In response, the Laxalt campaign pointed to the candidate’s own health care plan. Laxalt, who cites the ACA’s “disastrous effects,” nonetheless has pledged to retain Medicaid expansion but seek reforms, including adopting work requirements for recipients. Through a spokesman, Laxalt said government ambulance fees and the cost of hospital stays at UMC had risen during Sisolak’s tenure on the Clark County Commission. Both candidates tout efforts to safeguard Nevadans with pre-existing conditions, address the state’s chronic shortage of health care providers and work to improve mental health and respond to addiction crises.